I survived the first day of my workshop group, and have moved very quickly from feeling like writing is a habit to feeling like I can call myself a writer. How did one workshop meeting do that? Well, it finally pushed me to go outside of my own house – and really my own head – and read my work in front of others. The workshop members didn’t boo me, and I didn’t die. Imagine that? One of the more interesting discussions we had during our time together was determining what kind of writer we were – a Planner or a Pantser. For those who aren’t familiar, a Planner is one who outlines everything happening in his/her story or novel before writing one word. A Pantser is one who writes by the proverbial seat of his/her pants without much of a plan in place. I’ve always been a control freak. It’s probably why I liked being a teacher – my room was my domain, and I was Queen and Empress of that room. When I’m not in control of a classroom, a paper, or my life, I tend to get a little antsy. But when I decided to open myself up to a creative life with my writing, I really wanted to be more free and less constrained by those controlling tendencies. Alas, my writing style has not necessarily listened to my desires. I find myself constantly planning out ideas whether for novels or short stories. I get excited when I can see not just one novel but the potential for two or three. And darn it if I don’t find myself truly outlining every aspect of each idea until either I have a solid idea or I talk myself out of it. So I decided to really try to fly by the seat of my pants on my latest venture. I put away any notebooks, didn’t touch my computer at first instinct, and I tried to put away my mental whiteboard. I was doing really well with a very exciting idea until I had to define a reason or cause for the major plot point. And all of a sudden, I found myself starting to need a plan of what to do and where to go. Two weeks later, I’ve got the first book outlined with plans for a possible two more books. My grand plans to be free and easy got squashed but good, but by what? I think that it isn’t a black and white result. In reality, I could be a Pantsing Planner or a Planning Pantser. The original idea that came from some free flowing inspiration (after seeing The Avengers film, which I wrote about in this blog post) is very viable, and to make it really shine, a little planning had to be applied. The biggest lesson probably is that it really doesn’t matter. All that matters is what gets you to write in the first place! 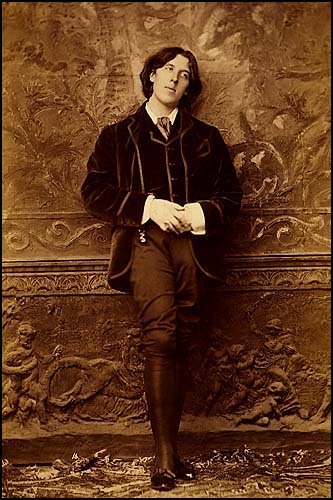 Oscar Wilde and his jaunty pants reminds us to just be ourselves in the long run.